It’s a well-known fact that bad news sells… and that’s probably the reason that most blogs you read are full of doom and gloom or are pointing out the inadequacies of someone or something. Having just done that with my previous post I thought I’d buck the trend and write about two good news stories instead. The first is from the Post Office, much maligned over recent years and run down (or at least downsized) in many villages and towns. 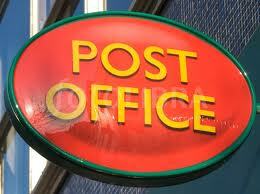 On Saturday I went to renew my passport at my local Post Office in a small place called West Monkseaton. A very bright and modern post office with lots of very friendly and helpful staff who obviously wanted to take care of people. It was a real pleasure to have a conversation as opposed to feeling like a transaction and this translated into a very good customer experience. The second one was from a company called We Fix Alloys www.wefixalloys.co.uk This is a small company near Newcastle who I took my kerbed alloy wheels to for repair. Again it was a great customer experience, Chris the guy who owns and runs the company was not only very helpful but the pride he took in his work and in his company was immediately obvious. I have to say when I collected the car later in the afternoon, he spent time telling me what he’d done and generally to make sure I was fully satisfied with the end result which was excellent. These are examples of two great businesses that give excellent customer service and I’d highly recommend both. Next postThe one question that every CIO should ask themselves… What are you going to do when (not if) your cloud systems fail? I think it is the simple things that organizations do that have a big impact on the customer experience. For example, having a conversation as against doing a transaction or the business ensuring that their customer is fully satisfied with the service received as against requesting for a online feedback. Hope the large businesses also understand this and incorporate such behavior by design in their processes rather than hope that the service team will take care of keeping their customers happy.